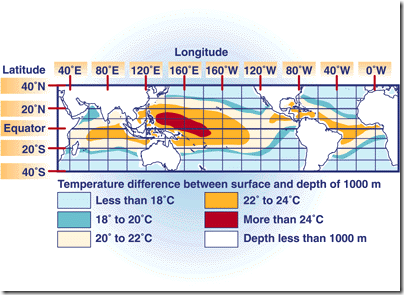 What is Ocean Thermal Energy Conversion (OTEC)? This post is to highlight on Ocean Thermal Energy Conversion where significant development has been done but still under implementation as a commercial source. This is one of the Non-Conventioal Energy Sources. We are aware that approximately 70% area of the Planet Earth is covered by oceans. This makes the oceans as the world’s largest solar energy collector and energy storage system. On an average day, 60 million square kilometers (23 million square miles) of tropical seas absorb an amount of solar radiation equal in heat content to about 250 billion barrels of oil. If less than one-tenth of one percent of this stored solar energy could be converted into electric power, it would supply more than 20 times the total amount of electricity consumed in the United States on any given day. 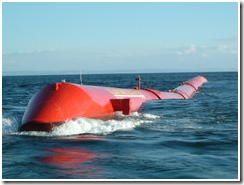 OTEC or Ocean Thermal Energy Conversion, is an energy technology that converts solar radiation to electrical energy. OTEC systems use the ocean’s natural thermal gradient—the fact that the ocean’s layers of water have different temperatures—to drive a power-producing cycle. As long as the temperature between the warm surface water and the cold deep water differs by about 20°C (36°F), an OTEC system can produce a significant amount of power. The oceans are thus a vast renewable resource, with the potential to help us produce billions of watts of electric power. 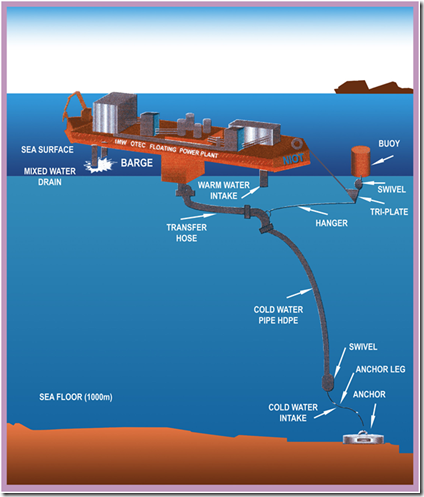 The cold, deep seawater used in the OTEC process is also rich in nutrients, and it can be used to culture both marine organisms and plant life near the shore or on land. 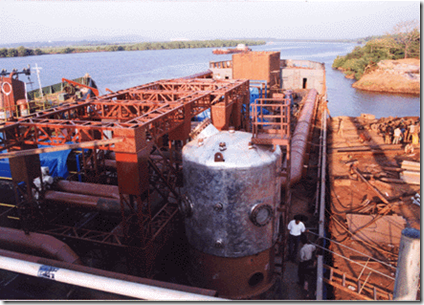 The economics of energy production today have delayed the financing of a permanent, continuously operating OTEC plant. However, OTEC is very promising as an alternative energy resource for tropical island communities that rely heavily on imported fuel. Commercial ocean thermal energy conversion (OTEC) plants must be located in an environment that is stable enough for efficient system operation. The temperature of the warm surface seawater must differ about 20°C (36°F) from that of the cold deep water that is no more than about 1000 meters (3280 feet) below the surface. The natural ocean thermal gradient necessary for OTEC operation is generally found between latitudes 20 deg N and 20 deg S. Within this tropical zone are portions of two industrial nations—the United States and Australia—as well as 29 territories and 66 developing nations. Of all these possible sites, tropical islands with growing power requirements and a dependence on expensive imported oil are the most likely areas for OTEC development. 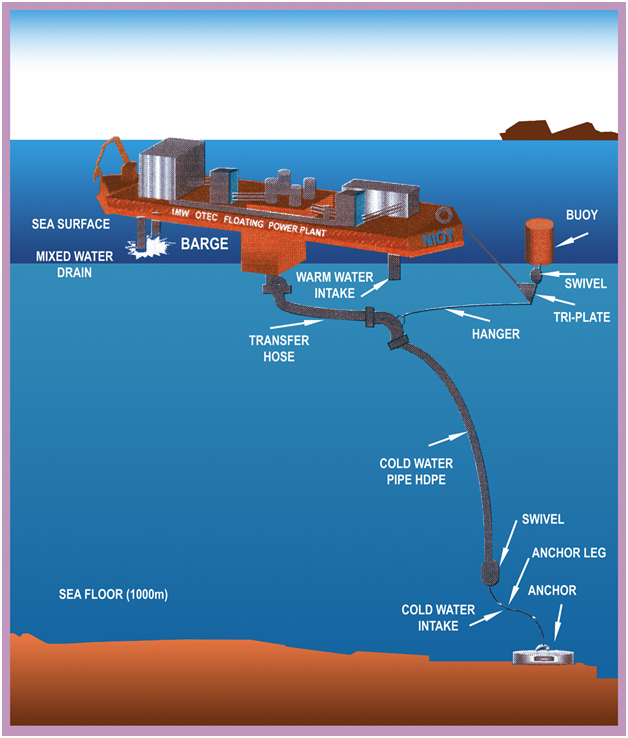 Moorings or free-floating facilities in deep ocean water. 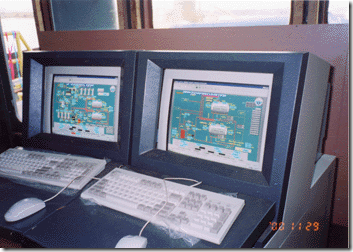 Two basic OTEC system designs have been demonstrated to generate electricity: closed cycle and open cycle. 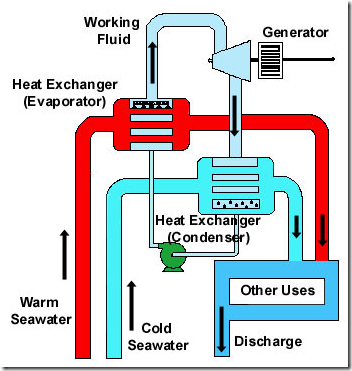 In the closed-cycle OTEC system, warm seawater vaporizes a working fluid, such as ammonia, flowing through a heat exchanger (evaporator). 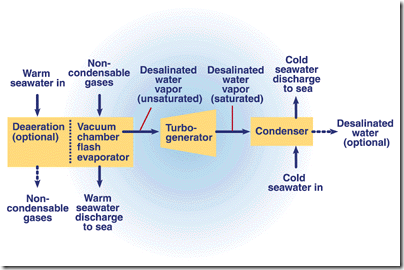 The vapor expands at moderate pressures and turns a turbine coupled to a generator that produces electricity. 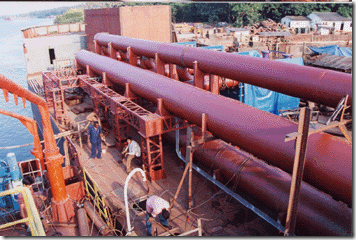 The vapor is then condensed in another heat exchanger (condenser) using cold seawater pumped from the ocean’s depths through a cold-water pipe. The condensed working fluid is pumped back to the evaporator to repeat the cycle. The working fluid remains in a closed system and circulates continuously. In an open-cycle OTEC system, warm seawater is the working fluid. The warm seawater is “flash”-evaporated in a vacuum chamber to produce steam at an absolute pressure of about 2.4 kilopascals (kPa). 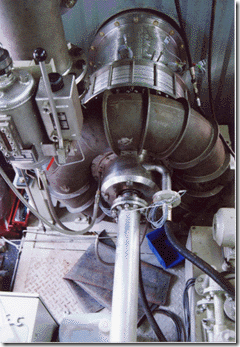 The steam expands through a low-pressure turbine that is coupled to a generator to produce electricity. 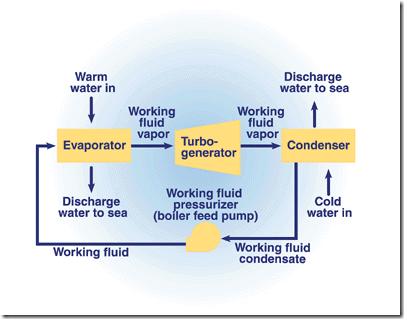 The steam exiting the turbine is condensed by cold seawater pumped from the ocean’s depths through a cold-water pipe. 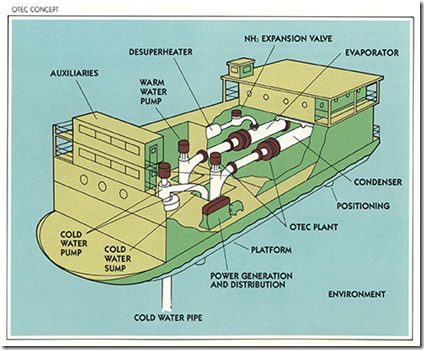 If a surface condenser is used in the system, the condensed steam remains separated from the cold seawater and provides a supply of desalinated water. 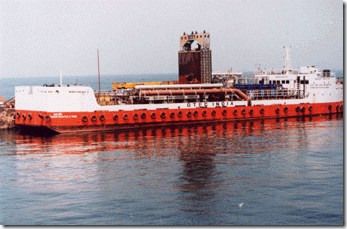 OldSailor is sure that the day is not far to have OTEC for commercial use.